Kids love to color! Develop your kid's inner artist with this lovely Halloween Disney printable for kids. A great way to decorate this picture is to use your markers, paint, crayons and imagination. Print this Halloween Disney coloring page for kids and have it handy along with some coloring pencils so kids can start coloring. Or color together with your kids, you will remember how much fun it is to use your imagination. 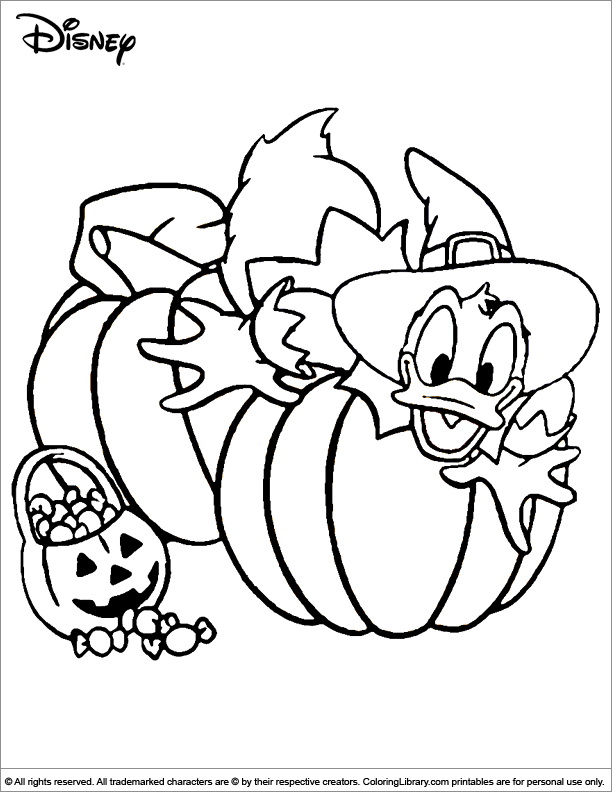 Find this printable Halloween Disney coloring picture and many more in the Coloring Library.